The problem, Sharing pensions if living together, has a difficult answer if you are really looking at post separation rights. Making an honest man of him really means getting married or, at least, a properly drafted living together agreement. Anything else is an excuse, particularly if you are putting your earning ability on hold for children together. Solicitors at Stonehewer Moss have no gender agenda; we give straightforward advice, which might include advice not to share to a man owning assets if the circumstances call for it or to get a pre nup if you must marry. 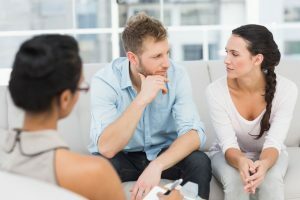 This article was added on Wednesday, February 8th, 2017 at 2:50 pm and is categorised under Cheshire divorce solicitor, Cheshire News, Chester News, cohabitation disputes, living together agreements. Both comments and pings are currently closed. Error: Error validating access token: Session has expired on Saturday, 09-Mar-19 13:12:58 PST. The current time is Thursday, 25-Apr-19 05:55:51 PDT.